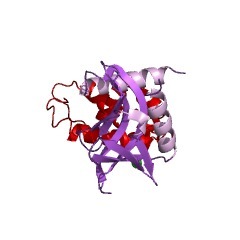 This domain is specific to mRNA decapping protein 2 and this region has been termed Box A ((PUBMED:12218187)). 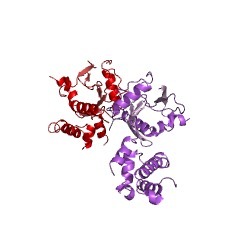 Removal of the cap structure is catalysed by the Dcp1-Dcp2 complex ((PUBMED:16341225)). 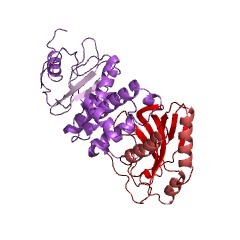 This presumed domain is always found to the N-terminal side of the NUDIX hydrolase domain IPR000086. This domain appears to be specific to mRNA decapping protein 2 (DCP2) P53550 and its close homologues. This region has been termed Box A [(PUBMED:12218187)]. There are 1620 DCP2 domains in 1620 proteins in SMART's nrdb database. Taxonomic distribution of proteins containing DCP2 domain. This tree includes only several representative species. The complete taxonomic breakdown of all proteins with DCP2 domain is also avaliable. Click on the protein counts, or double click on taxonomic names to display all proteins containing DCP2 domain in the selected taxonomic class. 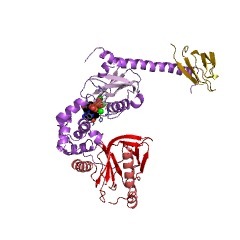 Crystal structure and functional analysis of Dcp2p from Schizosaccharomycespombe. Decapping is a key step in both general and nonsense-mediated 5' --> 3'mRNA-decay pathways. 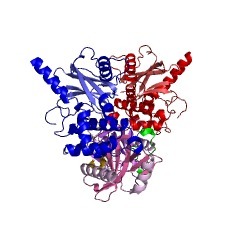 Removal of the cap structure is catalyzed by the Dcp1-Dcp2complex. 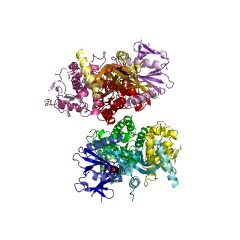 The crystal structure of a C-terminally truncated Schizosaccharomycespombe Dcp2p reveals two distinct domains: an all-helical N-terminal domain and a C-terminal domain that is a classic Nudix fold. The C-terminal domain of bothSaccharomyces cerevisiae and S. pombe Dcp2p proteins is sufficient for decapping activity, although the N-terminal domain can affect the efficiency of Dcp2pfunction. The binding of Dcp2p to Dcp1p is mediated by a conserved surface on itsN-terminal domain, and the N-terminal domain is required for Dcp1p to stimulateDcp2p activity. The flexible nature of the N-terminal domain relative to theC-terminal domain suggests that Dcp1p binding to Dcp2p may regulate Dcp2pactivity through conformational changes of the two domains. Decapping of mRNA is a critical step in eukaryotic mRNA turnover, yet theproteins involved in this activity remain elusive in mammals. 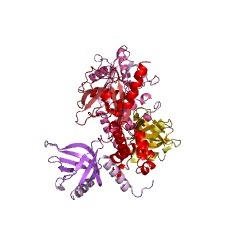 We identified thehuman Dcp2 protein (hDcp2) as an enzyme containing intrinsic decapping activity. hDcp2 specifically hydrolyzed methylated capped RNA to release m(7)GDP; however, it did not function on the cap structure alone. 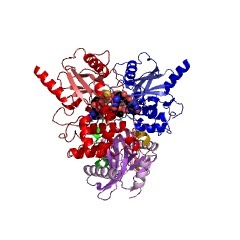 hDcp2 is therefore functionallydistinct from the recently identified mammalian scavenger decapping enzyme, DcpS.hDcp2-mediated decapping required a functional Nudix (nucleotide diphosphatelinked to an X moiety) pyrophosphatase motif as mutations in conserved aminoacids within this motif disrupted the decapping activity. hDcp2 is detectedexclusively in the cytoplasm and predominantly cosediments with polysomes.Consistent with the localization of hDcp2, endogenous Dcp2-like decappingactivity was detected in polysomal fractions prepared from mammalian cells.Similar to decapping in yeast, the presence of the poly(A) tail was inhibitory tothe endogenous decapping activity, yet unlike yeast, competition of cap-bindingproteins by cap analog did not influence the efficiency of decapping. Thereforethe mammalian homologue of the yeast Dcp2 protein is an mRNA decapping enzymedemonstrated to contain intrinsic decapping activity. The DCP2 protein is required for mRNA decapping in Saccharomyces cerevisiae andcontains a functional MutT motif. The major pathway of mRNA degradation in yeast occurs through deadenylation,decapping and subsequent 5' to 3' exonucleolytic decay of the transcript body. Toidentify proteins that control the activity of the decapping enzyme, which isencoded by the DCP1 gene, we isolated a high-copy suppressor of thetemperature-sensitive dcp1-2 allele, termed DCP2. Overexpression of Dcp2ppartially suppressed the dcp1-2 decapping defect. Moreover, the Dcp2 protein was required for the decapping of both normal mRNAs and aberrant transcripts that aredegraded by the mRNA surveillance pathway. 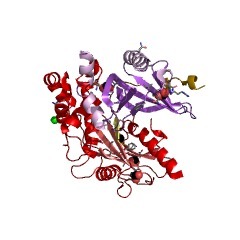 The Dcp2 protein contains a MutTmotif, which is found in a class of pyrophosphatases. Mutational analysesindicated that the region of Dcp2p containing the MutT motif is necessary andsufficient for Dcp2p's function in mRNA decapping. The Dcp2p alsocoimmunoprecipitates with the DCP1 decapping enzyme and is required for theproduction of enzymatically active decapping enzyme. These results suggest thatdirect or indirect interaction of Dcp1p with Dcp2p is required for the productionof active decapping enzyme, perhaps in a process requiring the hydrolysis of apyrophosphate bond.